Face ID is possibly the iPhone X's make-it-or-break-it feature. Apple is asking previous iPhone owners to put a lot of faith into their home button replacement, and so far, the results seem pretty good. That is until CNN tested the security feature with identical twins. It's actually pretty hilarious. 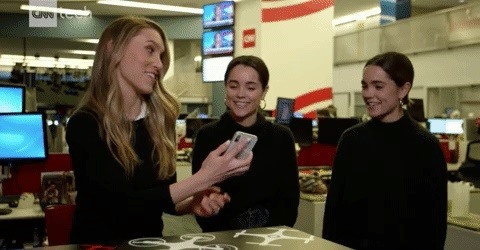 CNN Tech correspondent Rachel Crane asks one of the identical twins to set up Face ID, then hands the phone over to the other twin who is charged with attempting to unlock it with her face. Crane clearly expects Face ID to at least put up a little fight here, as per her reaction when the iPhone X immediately unlocks to the second twin's face. So, if you've preordered an iPhone X or are planning on picking one up (good luck, by the way), make sure you don't have a twin. And if you do, it might be worth looking into plastic surgery. Although, it looks like Rachel Crane wasn't the only one to try the twin trick. Steve Kovach over at Business Insider also got some twins to test it out, with a better turnout for Face ID. I invited a set of identical twins to the office on Monday to put the facial-recognition system to the test. One of the twins programmed his face into Face ID, allowing him to unlock the phone with a glance. His twin brother, however, was locked out — he couldn't even trick the phone while wearing a hat and sunglasses. The two siblings told me that even some of their family members couldn't tell them apart, yet Face ID was able to map a face accurately enough to tell the difference. Maybe you'd better put that plastic surgery appointment on hold.